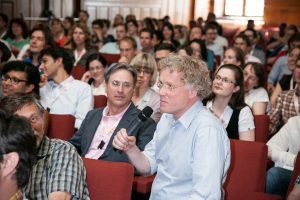 On 22-23 May 2014, more than 200 international scientists and clinicians who are working to find a cure for ALS/MND gathered in Leuven for the annual meeting of the European Network for the Cure of Amyotrophic Lateral Sclerosis (ENCALS). 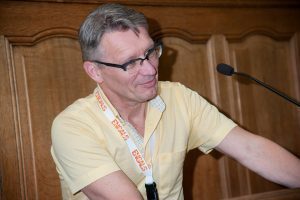 The diverse program highlighted state-of the-art science and clinical practice in the field of ALS.The meeting certainly met its objectives: to provide a platform for young emerging scientists and clinicians to present their research and to exchange ideas as well as to interact with top international investigators. 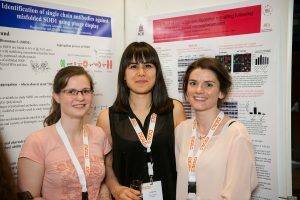 During each meeting the ENCALS Young Investigator Award is presented to the early career researcher who has generated the most outstanding or innovative research in MND as judged by the panel. The ENCALS Young Investigator Award 2014 was presented to Dr Ashley Jones from Kings College London. Ashley is trying to identify new MND-causing genes, and is interested in changes in gene behaviour that occur in individual cells. He believes that by studying these changes throughout the course of the disease, we will understand more about MND and therefore identify potential therapeutic targets. Read his blog at mndresearch. 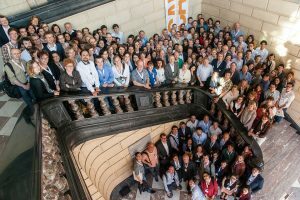 The ENCALS meeting in Leuven was a great success with over 30 oral presentations and 80 poster presentations over the three days and a lively debate about when ALS treatment is ready for testing in humans.